We have discussed about difficulties in piling in plastic clay, contact pressure of saturated clay, heaved piles, and numerous posts about expansive clay soil specially on black cotton soil/regur. Our posts on expansive soil become very popular. Dear reader here we will discuss about this clay soils and determination approach of bearing capacity of clay. Here we are grouped plastic silt and clay in same class as plastic silt in saturated condition act like medium clay and sometimes soft clay. So in foundation design approach they are treated as same class. We know that primary bearing capacity of soils depends on shearing resistance of them. 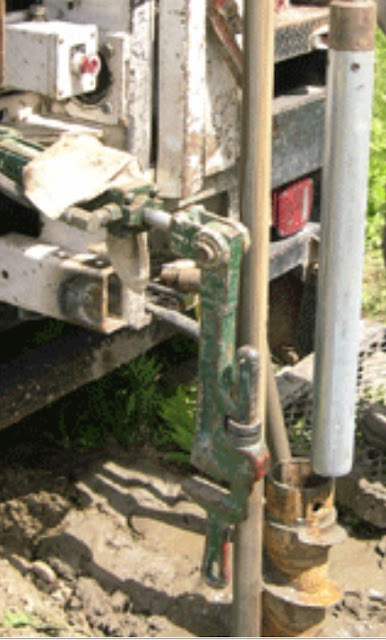 Being relatively fine grained the pore water pressure cannot be released easily in these types of soils and they can be assumed impermeable to some extent especially just after load is applied to the soil. Thus undrained condition prevails. So when structural loads are transferred to these soils in saturated conditions through foundation, excess pressure due to pore water is generated in fairly impermeable medium of soil mass and there have no way to dissipate these pressure quickly. So for a short period just after loading, undrained condition leads to Φ=0 analysis. In deriving strength, undrained shearing strength is used. We know that this strength in one half of unconfined compressive strength i.e. Considering the consolidation of such soil, the results derived on the basis of Φ=0 analysis are on safe side. Dear reader we will discuss this term elaborately in the next post. The thin walled tube samplers are successfully used to take specimens to set under laboratory testing but more accurate methods can be used depending on economy. In our sister blog “structural concrete foundation engineering” we have published a post discussing elaborate method of exploration of this soil in relation to economy.